Academy Mortgage recently celebrated its 30th anniversary, having been founded back in 1988. It began as a humble family-owned company opened by Duane Shaw, and remains one today with his son-in-law Adam Kessler in charge, serving as CEO. With three decades under its belt, it’s clear Academy is a mature player in the mortgage space, which now includes all types of fintech-focused newcomers like Better Mortgage and Movement Mortgage. It’s a very competitive business, so those who are able to stick out it for so long have proven staying power if nothing else. They must be doing something right, right? Let’s find out. What it means is they only work with borrowers directly, instead of dabbling in the correspondent or wholesale channels. So they’re laser-focused on the customer. Perhaps this is how they were able to navigate through the mortgage crisis that occurred in the early 2000s, only to grow bigger and stronger since then. Additionally, they do all the loan underwriting, processing, and funding in-house, instead of having a fragmented sales and operations team offsite. Everything is carried out in one of their 260 branch offices throughout the country. Speaking of, they’re licensed to do business in 49 states and Washington D.C. Some of those branches were the result of their acquisition of Republic Mortgage back in 2014, which allowed them to grow to 200 branches and 2,100 employees. In 2017, they also acquired Oklahoma-based First Mortgage Co., which operated many branches in the Southwestern United States and Texas. They also pride themselves on quick turn times, and refer to themselves as the “Gold Standard” in loan origination. So it’s obvious that customer satisfaction reigns supreme with the company. The company employs thousands of individuals, including a large fleet of mortgage loan officers throughout the country. If and when you apply for a home loan with Academy, you can call them directly or choose a specific loan officer to work with. They have a loan officer directory on their website that allows you to search by zip code, by name, and by branch (city and state location). I imagine many of the loan officers are referred to clients, either by a real estate agent, or by a former customer who had a good experience with the company. You can also visit a branch if face-to-face is your thing, though these days folks seem more interested in using a smartphone to make contact. The one downside here is it appears that you can’t apply for a mortgage online. Based on a loan origination report from iEmergent, Academy Mortgage was the 23rd largest mortgage lender overall in the nation based on total number of loans in 2017. The company closed 42,717 residential mortgages throughout the year on nearly $9.5 billion in total loan volume. While that’s fairly big, it pales in comparison to Quicken Loans, which mustered over $81 billion during the same time period. However, it shows they’re no slouch either. For home purchase loans, they ranked 19th in 2017 with over 36,000 total loans on nearly $8 billion in volume. For home refinance loans, they ranked a much lower 49th with 6,220 loans on just over $1.5 billion in volume. So it’s clear that the independent home loan lender focuses heavily on home purchases as opposed to refinances, likely partnering up with local real estate agents to generate business. Unfortunately, the company doesn’t advertise their mortgage interest rates anywhere online. So it’s impossible to know how competitive they are pricing-wise. If we consider the fact that most of their loan volume comes from purchases as opposed to refinances, we could guess that their mortgage rates probably aren’t super competitive. Or at least not necessarily lower than the competition. After all, if they had the lowest price out there they’d probably want to advertise it, or at minimum make it known somewhere. My guess is their rates are run-of-the-mill, but again, that’s just speculation. If you do include Academy in your mortgage loan search, be sure to compare rates and closing costs to other lenders to see where they stand. The company calls itself a “top-tier lender” when it comes to purchase loans, FHA loans, and builder loans. 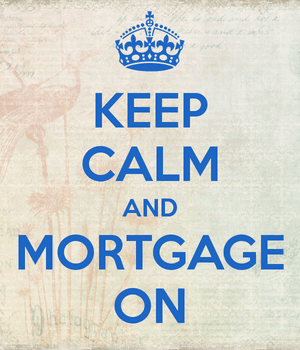 This includes home purchase loans, refinance loans, renovation loans, and streamline refinance options. You can get the basic Fannie Mae and Freddie Mac-backed conventional loans that allow for down payment as low as 3%. They come in a variety of fixed-rate options, including 30-year, 25-year, 20-year, 15-year, and 10-year terms. That’s typically more choices than most lenders offer. Academy also offers the usual adjustable-rate mortgage options, including a 10/1 ARM, 7/1 ARM, 5/1 ARM, and 3/1 ARM. If you’re interested in a government home loan, they offer all the usual suspects including FHA loans, VA loans, and USDA loans, including FHA 203k renovation loans and FHA Energy-Efficient Mortgages. It’s also possible to get a zero down home loan if you’re a first-time home buyer via their so-called exclusive GSFA Platinum Program, which includes a grant for up to 5% of the loan amount to cover down payment and closing costs. The grant funds, which are provided by the Golden State Finance Authority, aren’t required to be paid back if certain conditions are met. It should be pointed out that the company also offers commercial loans via a separate lending division. Their offerings range from life insurance company loan programs to Fannie Mae and Freddie Mac programs for apartment buyers. They also offer conduit loans and conventional loan programs for those wishing to purchase a commercial property. Additionally, they offer multi-family loan programs, including those backed by the FHA/HUD, along with construction and bridge loans. Lastly, you can get your hands on a variety of Small Business Administration (SBA) loans, including the SBA 7(a) Program and the SBA 504 Program. So the appear to have you well covered if you need a commercial loan for just about any purpose. While they seem to be a good lender on paper, with both high marks on customer service and awards for being a great place to work, we don’t know much about their rates and fees. For those interested in securing the lowest-cost mortgage, some more digging and comparing will be necessary to see if they’re the right choice. Academy doesn’t highlight any technology either, which seems to be a major factor these days for a lot of consumers. There’s no mention of a digital or paperless process, a smartphone app, or anything really on that front. That’s not to say it doesn’t exist, but chances are if it did, it’d be emphasized. But they’re a top-20 home purchase loan lender, which that says something, especially since they don’t seem to advertise very much. Perhaps the service speaks for itself, and they receive a lot of referrals from past customers and real estate agents. They have an excellent rating on Zillow, with 4.96 stars out of 5 on nearly 18,000 reviews at last glance.